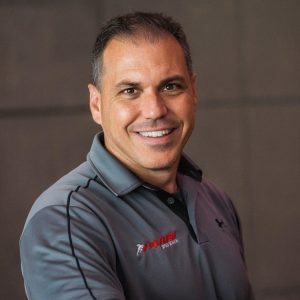 Parisi Speed School Founder and CEO, Bill Parisi, is an internationally recognized fitness business expert who shares his enthusiasm and passion for sports performance enhancement through presentations to business owners, athletes and coaches every year. By 2016, more than 650,000 athletes have trained through his system, now available in more than 90 facilities and health clubs in 31 states. His drive and determination all began to come into place in the 1980s at Iona College in New Rochelle, N.Y., where he was a multiple-time NCAA Division I All-American in track and field. He also competed at the 1988 U.S. Olympic Trials in the javelin throw. After graduating in 1990 with a degree in finance, Bill attended the University of Florida and served as a Graduate Assistant Strength Coach to the Gators’ track and field and football teams. In 1991, he furthered his expertise in applying scientific knowledge to train athletes for the primary goal of improving athletic performance by qualifying for the Certified Strength and Conditioning Specialist (C.S.C.S.) designation through the National Strength and Conditioning Association. Throughout this time, he also traveled the world to gain even more knowledge about the best strategies on sports performance training. Bill eventually moved back home and founded Parisi Speed School in late 1992. Armed with only a $500 van and a motivational speech, he became one of the originators of the youth training industry in the United States. In 1993, Bill opened up his first sports performance facility within a health club in Wyckoff, N.J. At this time, he was a consultant to the NY Giants and was also commissioned by Nike to help develop the original high school football combines that were held across the nation. By 1996, Bill’s facility in Wyckoff became the highest-grossing club per square foot in the country. This success, and excessive growth of his client base and allowed him to open his second club in Midland Park, N.J. 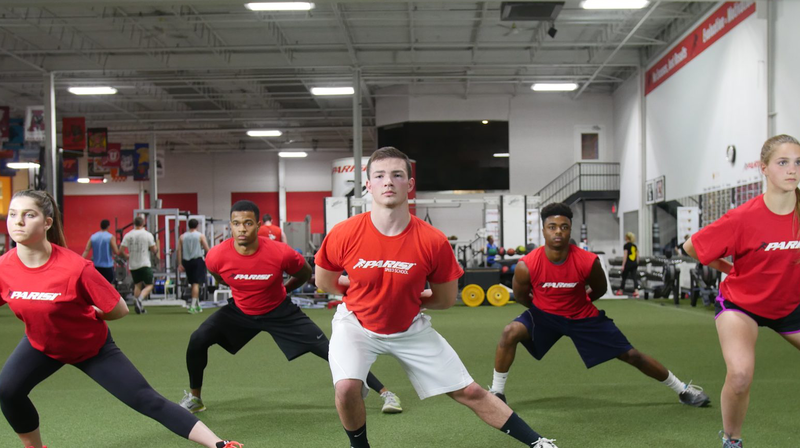 This 17,000-square-foot facility again dominated the marketplace and became nationally renowned in terms of sports performance training. In 2000, Bill built his flagship facility in Fair Lawn, N.J., a 32,000-square-foot center that has been home to more than 250,000 athletes and hundreds of professionals in every major sport. This facility has become synonymous with world-class training, and 2009 Men’s Health named it one of the Top 10 gyms in the country. In 2004, Bill opened his fourth facility, a 29,000-square-foot location in Morris County, N.J. It was then that Bill had that “a-ha” moment: He realized in order to have a positive impact on as many youth athletes as possible, it was time to launch the program nationally through a franchise format. So in 2005, Parisi Speed School began franchising to health-related businesses in the U.S. His idea was spot on as Parisi Speed School would go on to be named to the Franchise Times “Fast 55” list in 2009. He has lectured for a number of sports- and health-related organizations from the NFL, Nike and Reebok, to the International Health, Racquet & Sportsclub Association, the American College of Sports Medicine, the National Strength and Conditioning Association and the American Council on Exercise. Bill also has been commissioned for eight consecutive years to present at the NFL Hall of Fame Induction Ceremony Football Development Clinic in Canton, Ohio. He also has contributed content for NFL Youth Development and USA Football Coaches online library, and writes a monthly article on performance training and the business of sports performance. In addition to speaking and writing, Bill has been featured on Fox Sports, ESPN, CNBC, CBI, and in Running Magazine. Bill is married and has two sons.